Want to learn a style of yoga that’s focused on establishing balance for body, mind and soul? Get all the knowledge to start your teaching practice with a focus on Yin Yoga in this 200 hours teacher training and gain the Yoga Alliance Certificate to share this wisdom. For an embodied experience of the theory behind the practice students will practice teaching from the second week onwards. 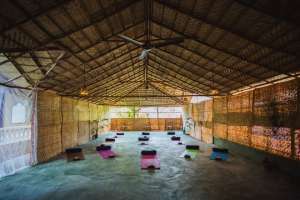 Stretched over a month there is time plenty of to practice teaching and the student will leave this training feeling confident with a broad yoga background to lead a yin yoga therapy class. Yin Yoga waves all layers of our being – physical, energetic and mind - into a seamless whole, allowing a sublime experience of peace. The stillness of the long held static stretches with relaxed muscles in Yin Yoga allows the space for awareness and the opportunity to reveal and release deep layers of tension held within our connective tissues. In this training you will have the opportunity to learn to release physical and emotional tension, free blocked and stagnant energy, cultivate a peaceful quality of mind. 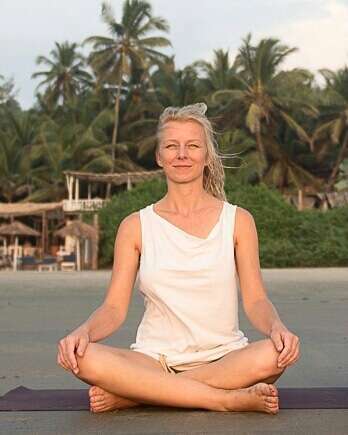 By practicing Yin we are practicing acceptance and surrender, connecting our body to a Zen state of mind and we create the space to allow energetic and physical healing to take place. 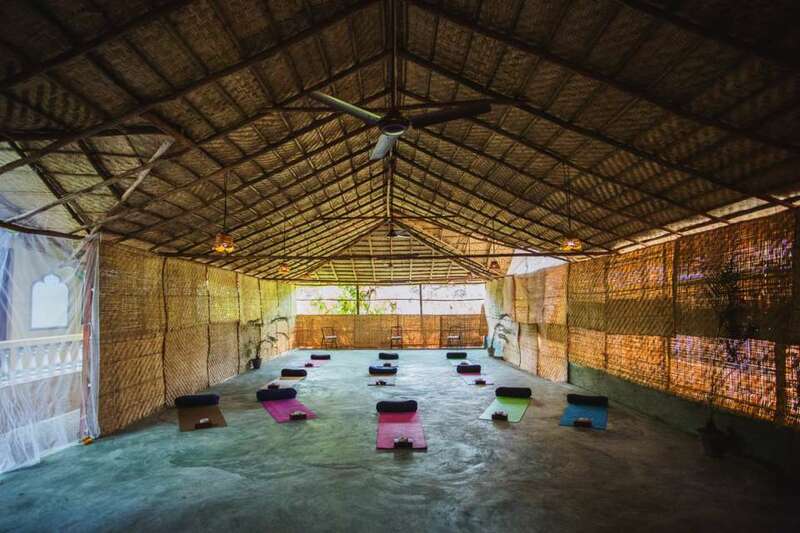 In our 200hrs training you get to know the basics of a classical yoga teacher training and in addition we immerse in a journey through all the Daoist elements and their healing wisdom. You will learn all about the ancient wisdom of the main Oriental Medicine Meridians and the Chi flow in the body. You will gain deep insight in each element and the correlating acupuncture meridians, points and organs. Find out about their subconscious value, the effects of the applied body acupressure points and the Yin Yoga poses to help balance those. We explore in detail each body target area and its correlation with the chi flow in the body. We show you ways of emotional healing and the releasing of energetic blockages in the poses. As we put our bodies in certain positions, different meridian energy streams get stimulated and we activate our body’s own healing powers. You will learn more about additional tools and different meditation techniques to support this process. We offer you insight into the power of visualization and breath, Yoga Nidra, mantras, mudras and chakras. There will be different meditations, chanting circles and acupuncture healing circles. 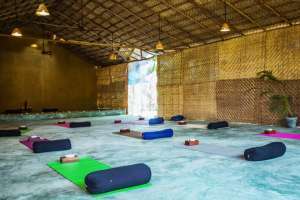 To complete an understanding of yoga in all its variations we talk about the anatomy of the muscular and skeletal body, the AyurvedicDosha system and share different aspects of yoga philosophy and foundations like the eight limbs and Patajalis yoga sutras. 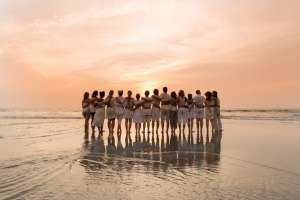 In our Circles of Transformation we create a save space to share and connect. Together we open the gates to a long lasting transformation. 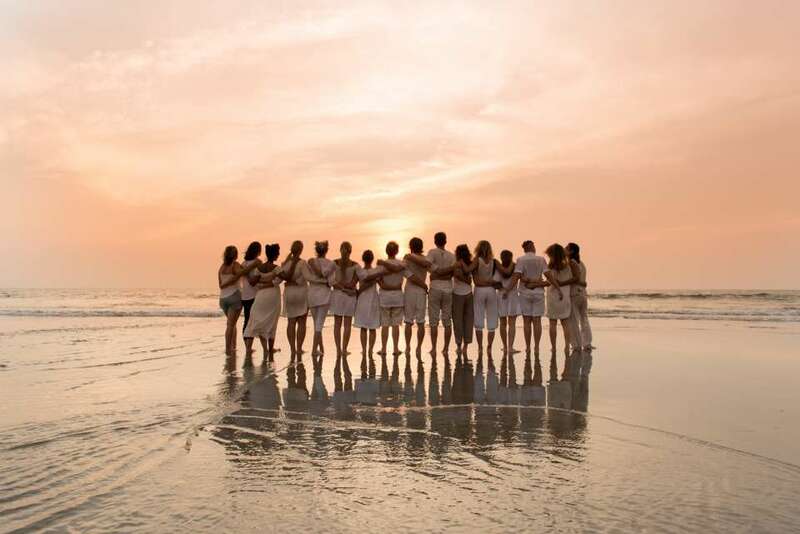 With successful completion of the training you will receive a Yoga Alliance affiliated Yoga Teacher Training Certificate and a Yin Yoga Therapy Training Diploma as a component of Alexandra Denkinger M.D. (ACU) physical therapy practice, licensed and registered as Doctor of Medicine in Acupuncture M.D. (ACU) by the Indian Board of Alternative Medicine.